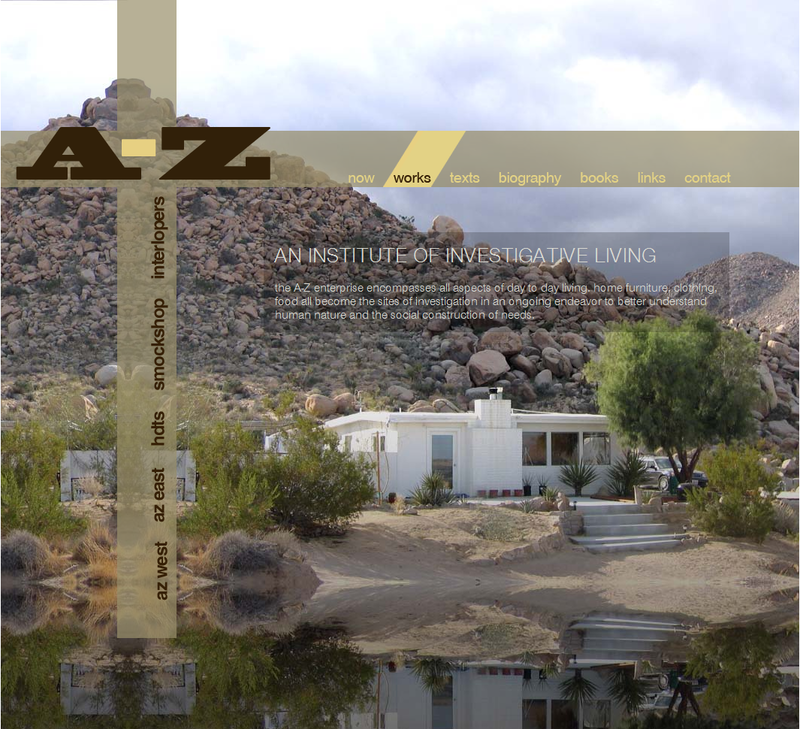 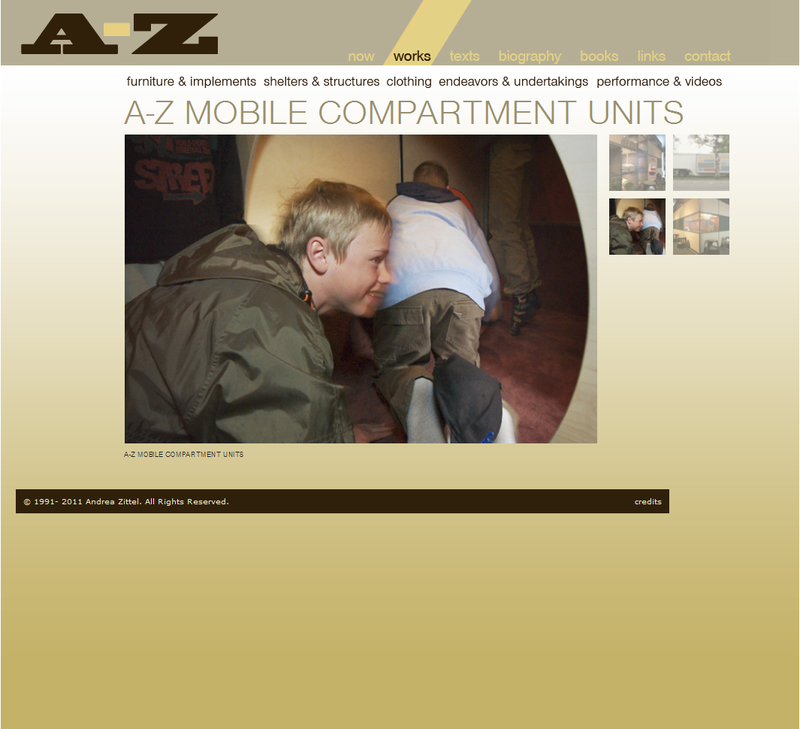 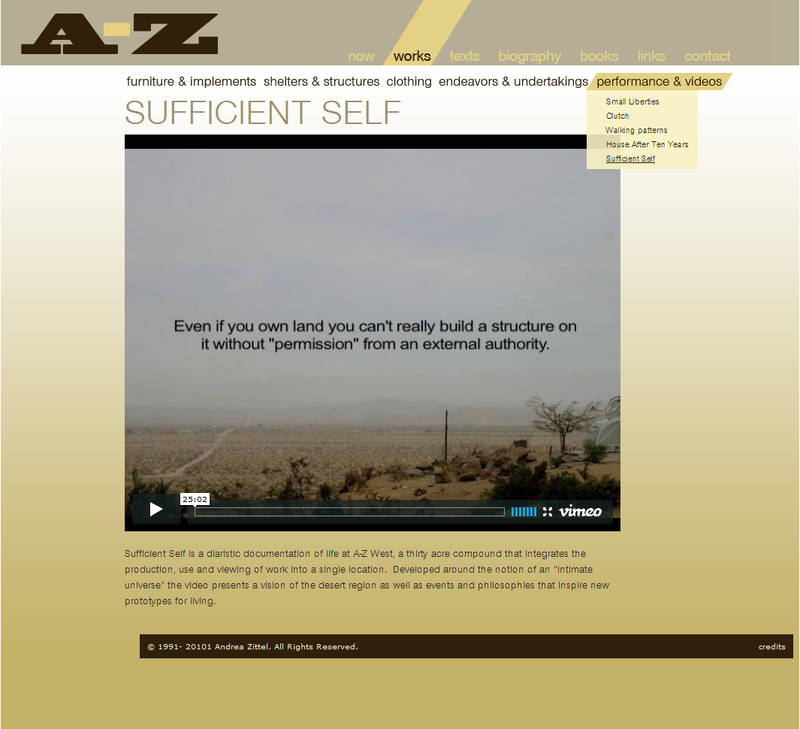 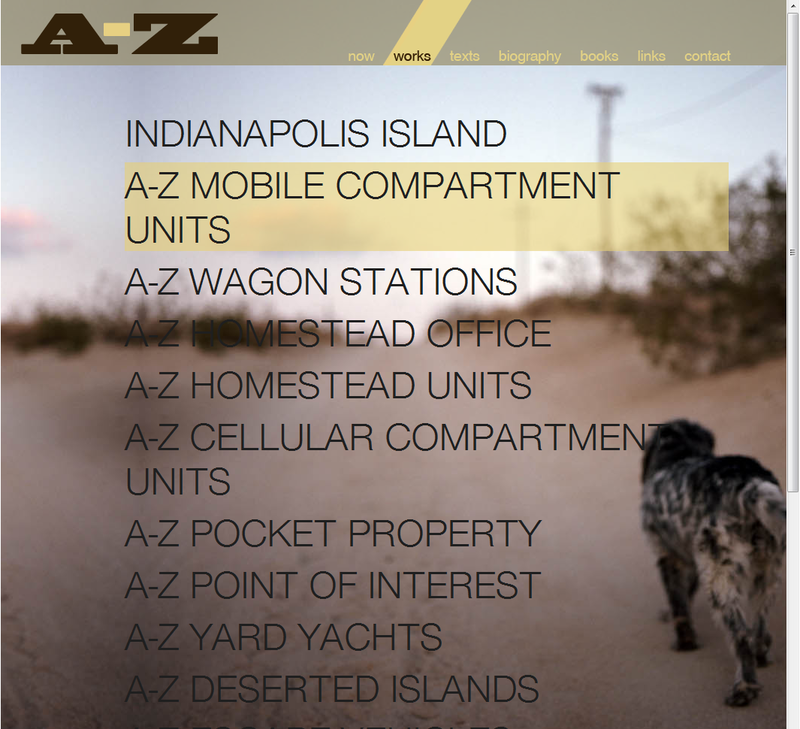 Andrea Zittel is an American sculptor, installation artist, and Social Practice artist..
She needed a website to showcase her work. 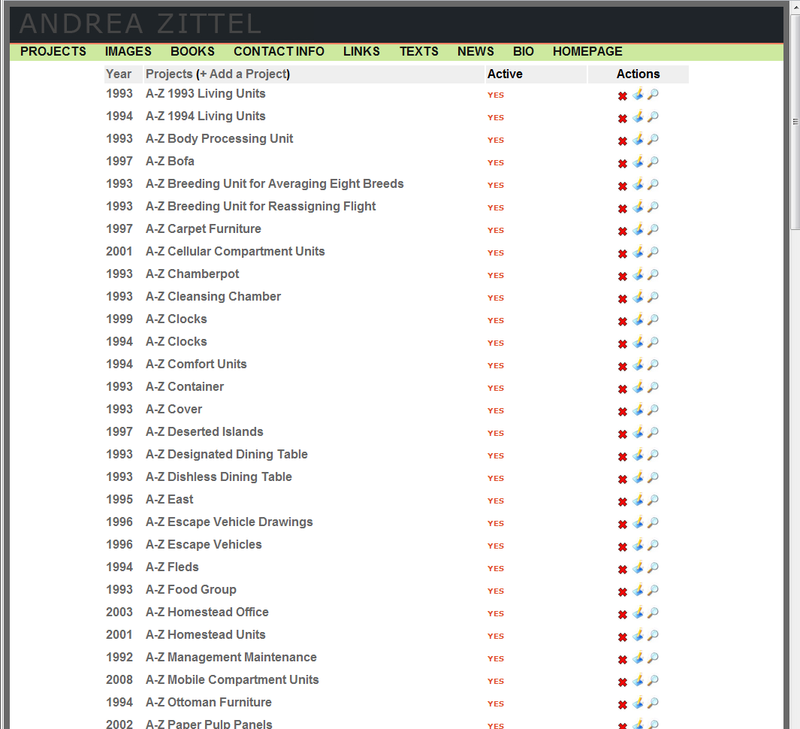 We wrote custom scripts to import and tag all existing work into a custom CMS. 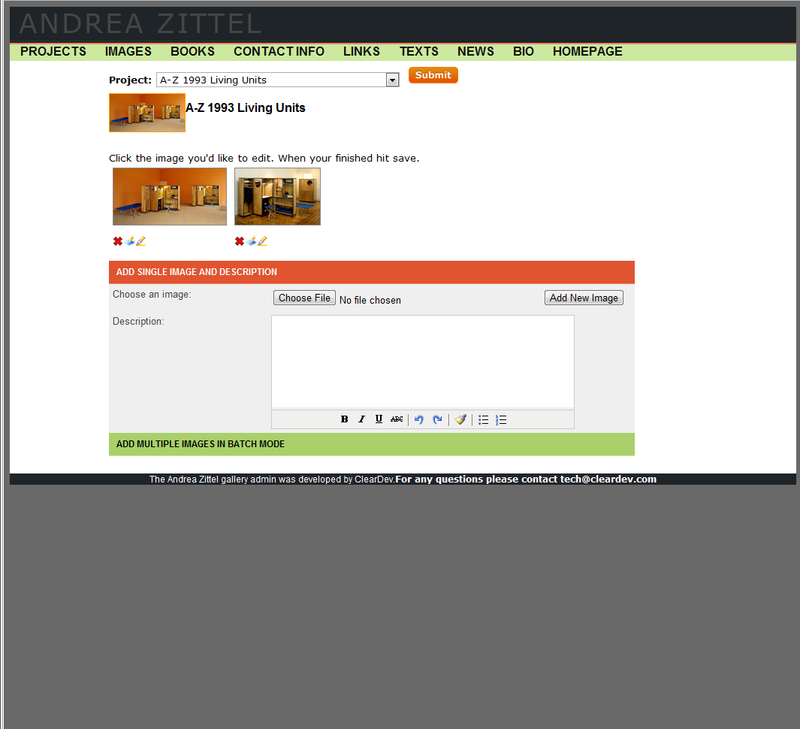 CMS allows for management of projects, exhibitions, news, and images. 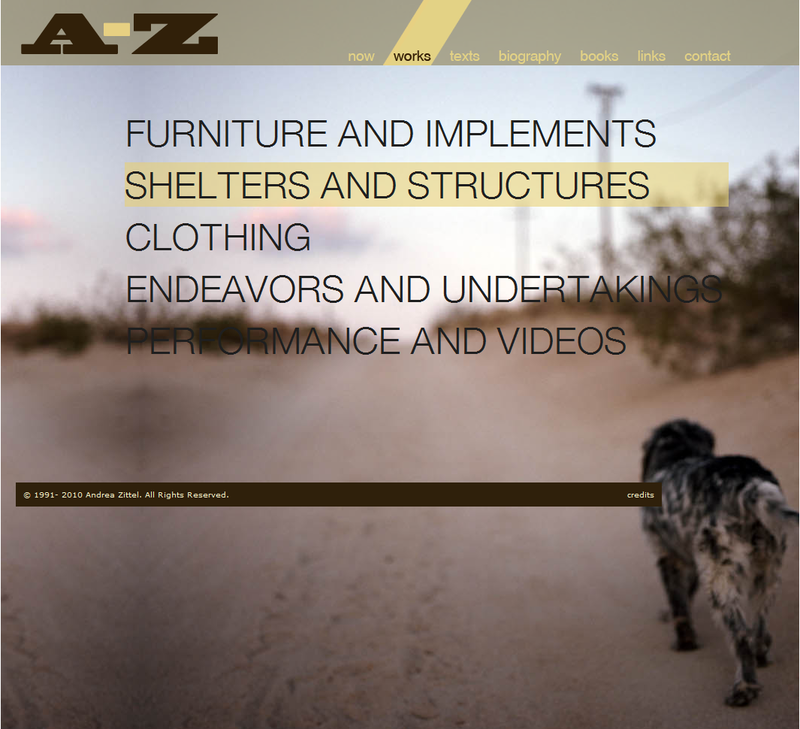 Drag and Drop ajax functionality and multi-upload capabilities.